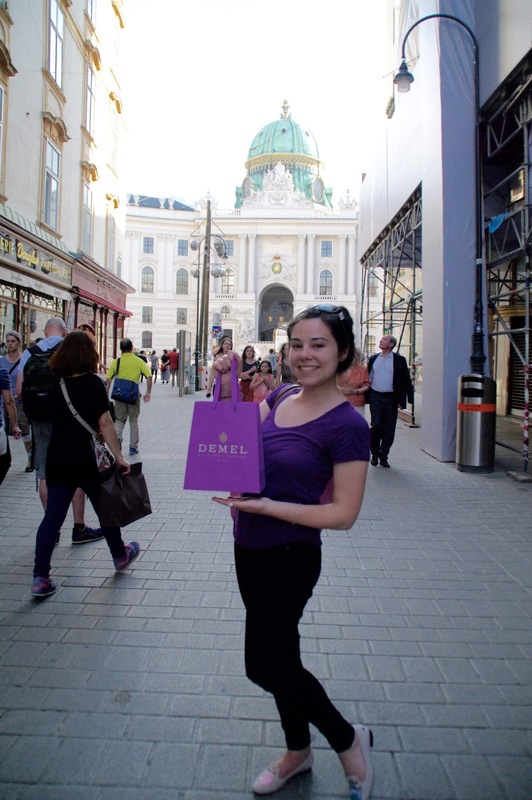 My final order of business in Austria was to acquire some of Demel’s famous candied violets. The favourite confection of Austria’s darling Empress Elisabeth herself. 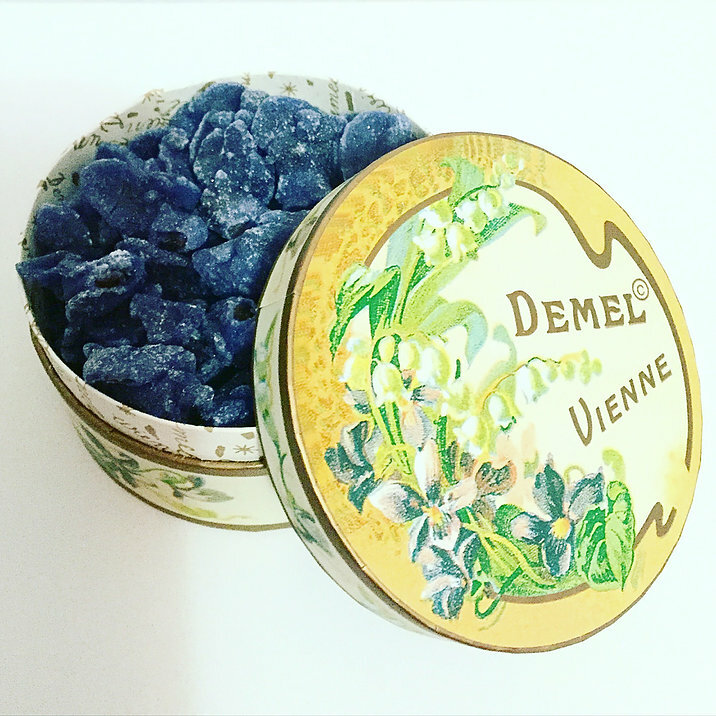 An ethereal desert, made of actual violets and enjoyed on top of ice cream, or cakes. While they don’t really compare to the candy we have available today, they do offer a unique taste and transport one back to the time of the Habsburg Monarchy. Were Barbie to host a brunch in Vienna surely it would be at Aida Café-Konditorei. In the square across from St. Stephen’s Cathedral sits this very feminine café, fitted with dozens of cotton candy-pink wicker chairs. 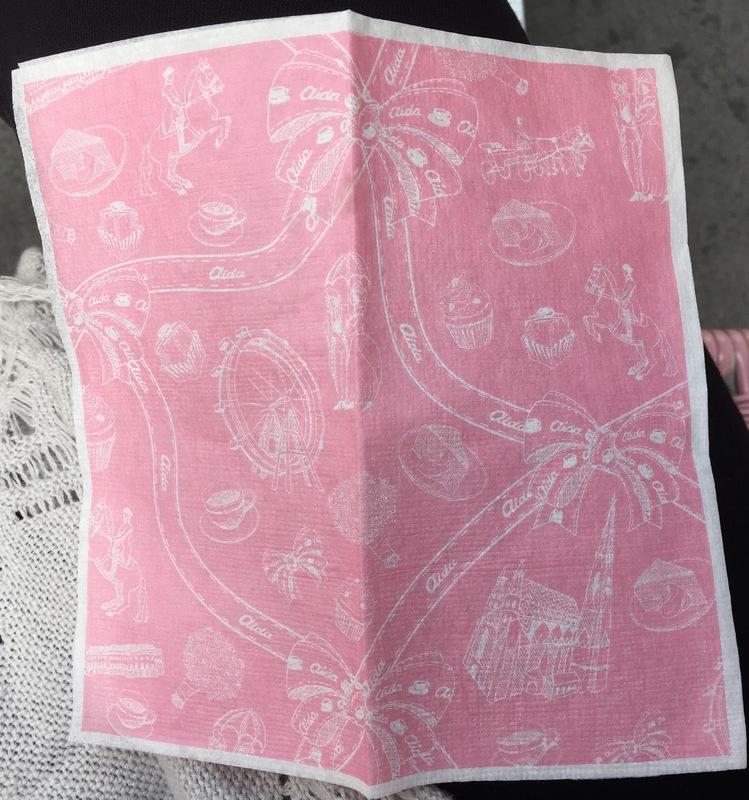 The serviettes, printed in the same pink boast illustrations of famous landmarks around Vienna. This is the spot we decided to have our final meal in Vienna. Our very decadent European brunch, consisted of Viennese coffee, croissants, cheeses and cured meats. Bidding adieu to Austria was very difficult. 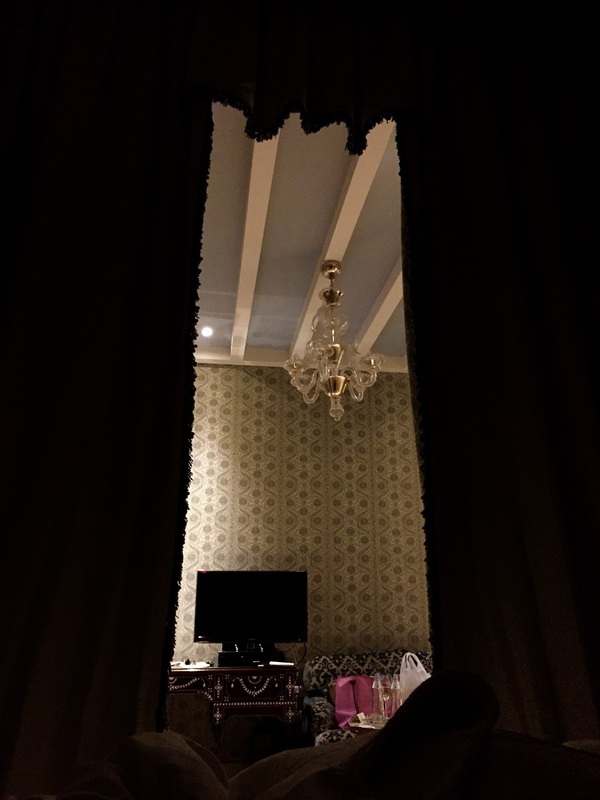 However, I’ve already decided that I will return, I still need to have a romantic candle-lit dinner in the Wiener Riesenrad and attend Vienna’s Opera Ball, which occurs every February.